Singapore and San Jose, CA — July 10, 2006 — InnoMedia, Inc., a leading supplier of Voice-over-IP (VoIP) appliances and business solutions, today announced that InnoMedia’s MTA 5410S IP Videophone was named “Communications Solutions Product of the Year” by Communications Solutions magazine. The award honors the industry’s best and brightest accomplishments that took place during the 2005 calendar year. ”Innomedia’s MTA 5410S videophone is targeted and built for the cost conscious, but still with quality at the heart of its design. It maintains the sleek and aesthetic appeal of the third generation of videophones, and puts forth what it does best: IP Video Telephony. “The MTA 5410S is compatible with 3G networks and mobile videophones. Calls can be made between fixed line videophones and 3G mobile videophones, thus enabling face-to-face communications between homes, offices and mobile users on the road. It supports network-based firewall and border traversal solutions offered by service providers, allowing telephony services to be deployed behind NAT/Firewall environments in enterprises. 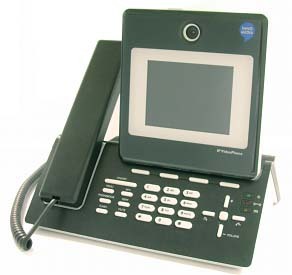 “The MTA 5410S, as our entry level IP videophone, is part of InnoMedia’s comprehensive line of video appliances,” says Mr. Alex Chua, Senior Director, Product Management, InnoMedia Pte Ltd. “Our videophone line offers competitive pricing for residential applications as well as advanced features required by professional business users,” added Mr. Chua.